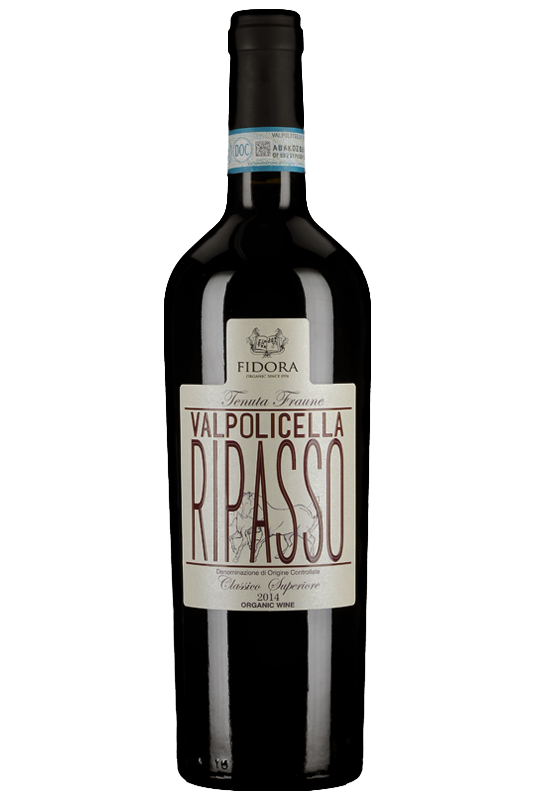 Our Valpolicella Ripasso Classico Superiore is obtained through a second fermentation of the Valpolicella Classico, in contact with the dry skins left from the pressing of the Amarone, without adding any sugar or substances. 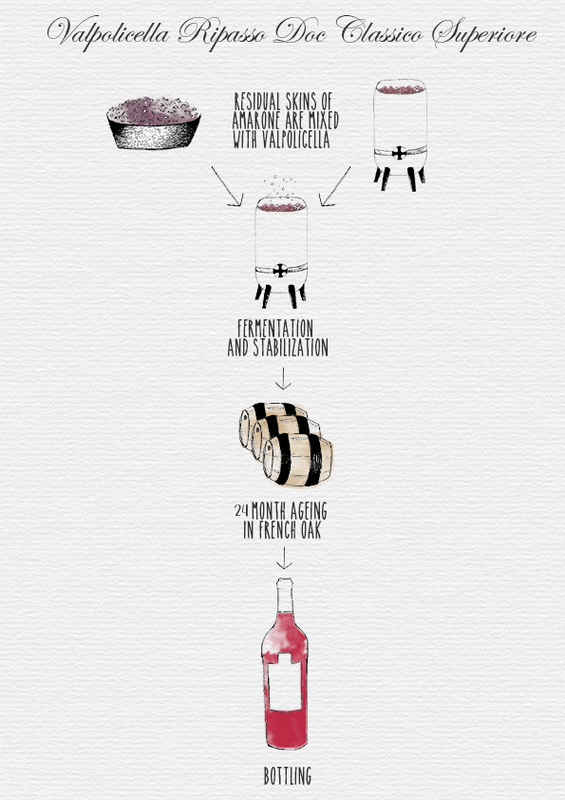 This process lasts about 15 to 20 days and is followed by a 24 months aging in French oak. 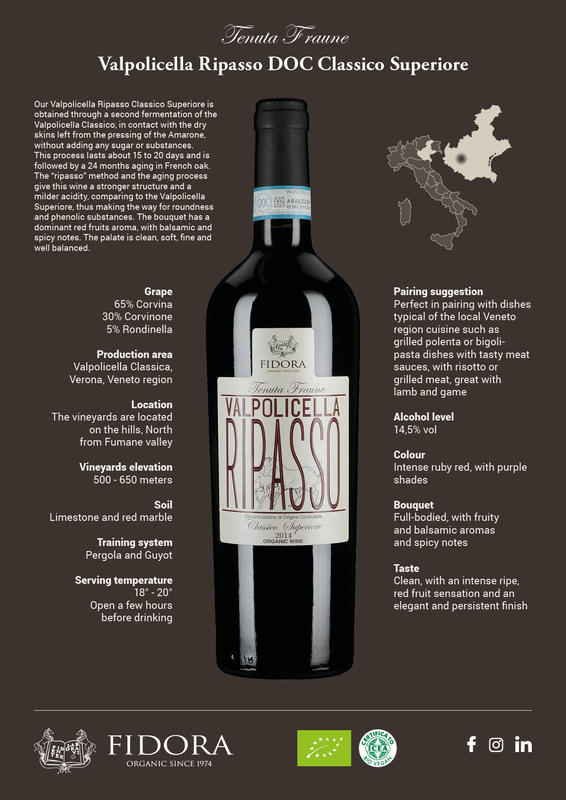 The “ripasso” method and the aging process give this wine a stronger structure and a milder acidity, comparing to the Valpolicella Superiore, thus making the way for roundness and phenolic substances. 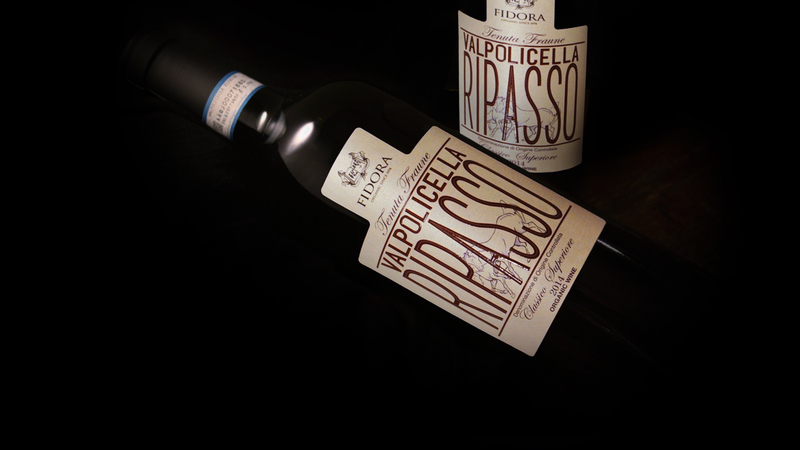 The bouquet has a dominant red fruits aroma, with balsamic and spicy notes. The palate is clean, soft, fine and well balanced.